Miracle-Gro® All Purpose Continuous Release Plant Food Pellets 1kg Tub feeds plants for up to 6 months with a unique mix of 10 nutrients, growing plants twice as big. Suitable for both indoor and outdoor plants, and perfect for hanging baskets, pots and containers. One application at the start of the growing season is all that is needed, simply scatter and fork in the granules into the soil or growing medium. 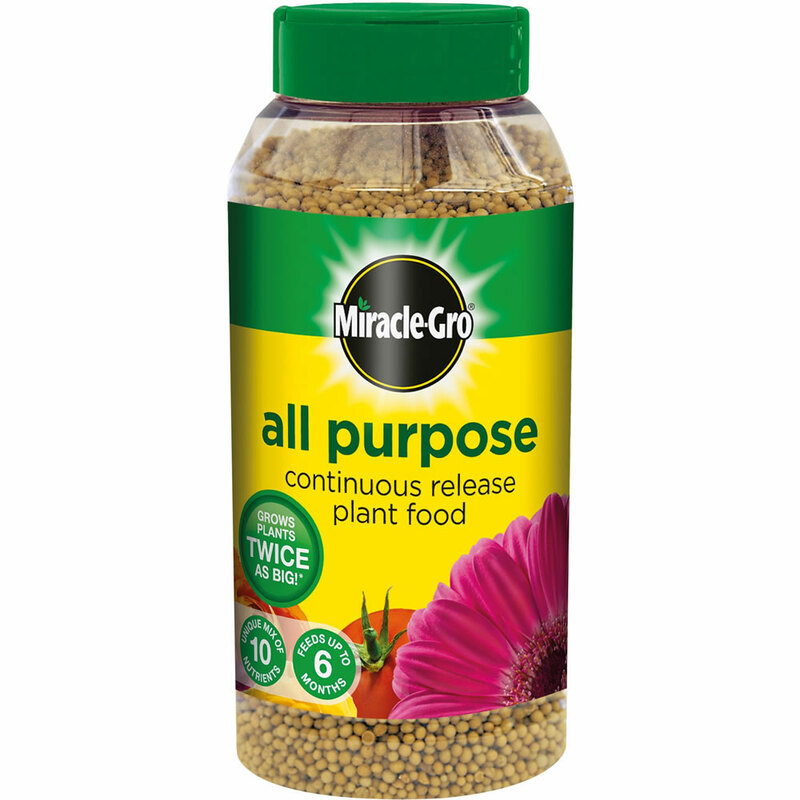 Continuous Release Plant Food contains a unique and carefully balanced mix of nutrients required for optimum plant growth and flowering. Follow usage guide supplied. for your choice of plant types.